Today is Veterans Day. I wanted to first thank all the men and women who have and are protecting our country. We don't say it enough, but we are thankful for all that you have sacrificed. THANK YOU! This is the month of the year that many of us stop and remember all the things we are thankful for. This year, I've tried to get more cards in the mail to let the people I love know that I'm thinking of them. 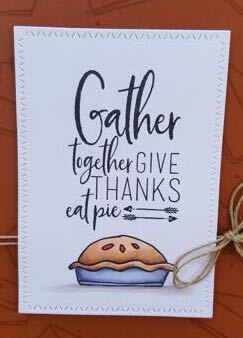 Here is the one of my first Thanksgiving cards. 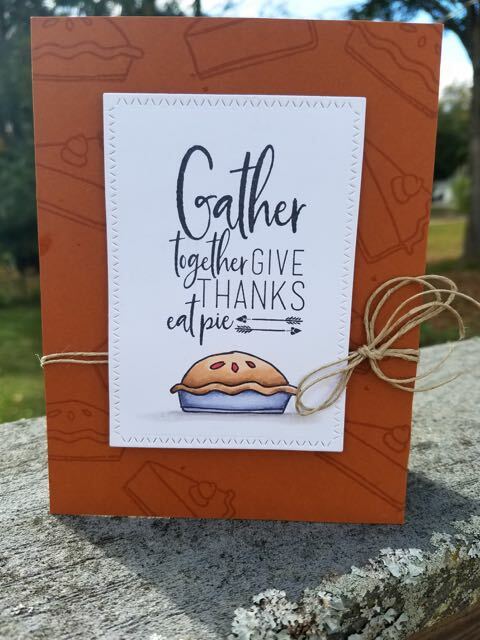 love the card, and the pumpkin pie background! Thank you! I'm excited for Pumpkin Pie season!